April is a really big month for me this year. On the first Monday in April I start a new job! Since we moved to Ohio I have been working part-time at home for my employer from Texas. Working from home has been great, but I was really starting to miss human interaction during the day. As much as I love spending all day with my pups, they aren't great conversationalists. My new company made such a great impression during interviews. They are so passionate about the company and its mission and I am so excited to become part of that. I actually enjoyed the interview process! We were all smiling and laughing. It felt more like grabbing a coffee with friends than the usual interview interrogation. 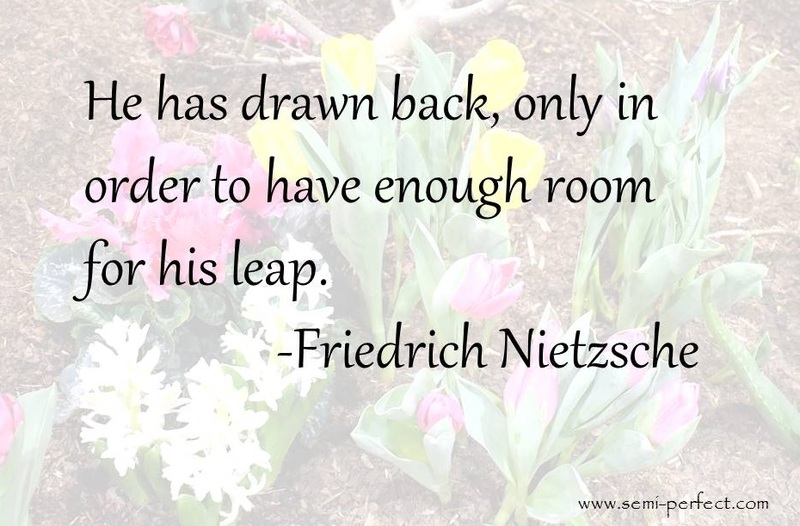 Between the start of spring and the new job, I knew that I wanted April’s Quote of the Month to focus on new beginnings. 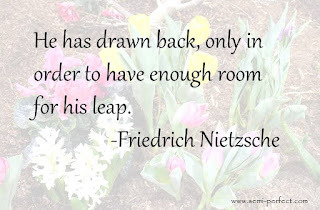 When I came across this quote from Friedrich Nietzsche it really reminded me of my whole transition to Ohio. I took a step back by switching to part time work, but the new job is a big leap forward.